A unique look for a cuff bracelet. 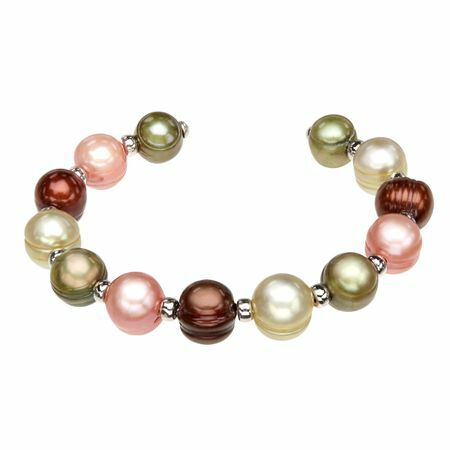 This bracelet features 9-10.5 mm pink, brown and pistachio ringed freshwater pearls adorned with sterling silver accent beads. Piece measures 7 1/2 inches in circumference.